Mar 21 FAVORITE COMPLEXION BRUSHES! If you follow me for a while you might know these two Sephora makeup brushes are simply my two Holy Grail brushes when it comes to foundation and Concealer. Both, the #45 (Mineral Powder Brush) and the #45.5 (Classic Mini Multitasker) where meant to be use with loose powder foundations which I personally never used, because I think this two are perfect for liquid, cream and heavier textures that may require more buffing and blending. That's why Sephora recently change their names and now their called the "Classic Multitasker" . 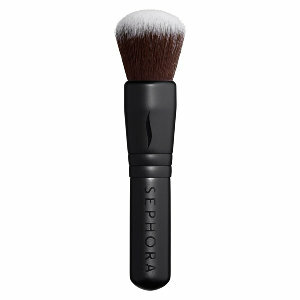 To give you a reference, this brushes are right in between the real techniques buffing brush (that I love) and the Sigma F80 Kabuki brush. These are not to soft and not to densely packed as the F80... these are just PERFECTION! The quality ... AMAZING! I had mine (big one) for almost 5 years now and it looks exactly the same as the first day I bought it. It washes easily, it keeps its shape and it feels super SOFT on the skin. For concealer (Garnier roller anti-dark circles) I love using the Mini travel version... the #45.5. Again, it has the same characteristics as his big brother but this one comes very handy when I need to buff in product in smaller areas like the sides of my nose or inside corners of the eyes. The small handle makes this brush perfect for traveling and it doesn't add any weight to the small makeup bag I keep on-the-go. So, if you are on the hunt for a new foundation/concealer brush I highly recommend giving this two a try! For the quality I think these two have an amazing price tag and honestly I haven't found anything quite like this pair yet. 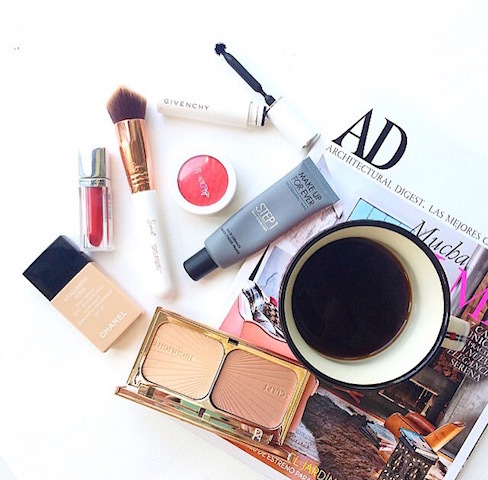 Apr 11 THE ONE MAKEUP PRODUCT I CANNOT LIVE WITHOUT ! Feb 25 WINTER BLUSHES !